Thank you for purchasing our Boost- Business and Finance HTML Template.  If you have any questions that are beyond the scope of this help file, please feel free to contact us here by mailing us at webmaster@makewebbetter.com . Boost is a Business and Finance HTML5 & CSS3 responsive template using bootstrap 4(Latest version). It is a great solution for Business and Finance. This template have different layouts for all pages(i.e 2 home layout , blog pages , and others pages). It is fully responsive, featured rich and beautifully designed. 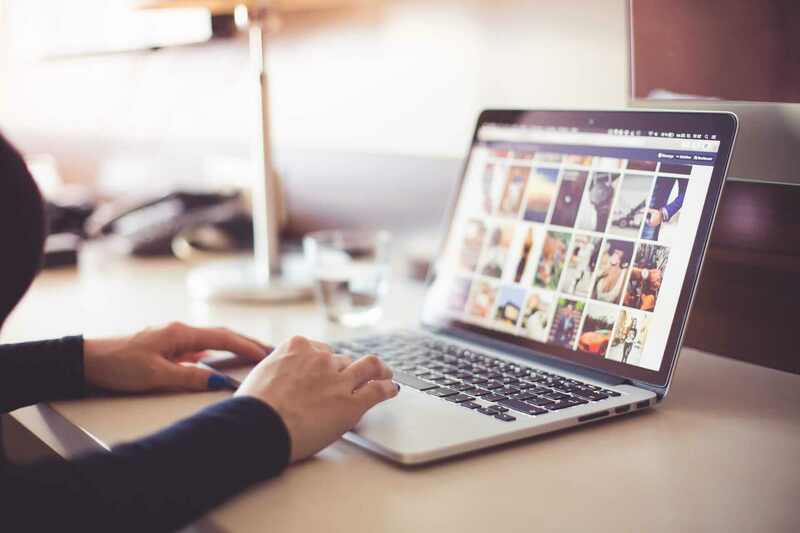 Organized Sass files will help you to customize the look of your website. All code is optimized so that it loads much faster then the other templates. Easily customizable, 24/7 support time. Download zip folder of Boost- Business and Finance HTML Template. Extract the folder of Boost- Business and Finance HTML Template. Your Boost- Business and Finance HTML Template is ready. 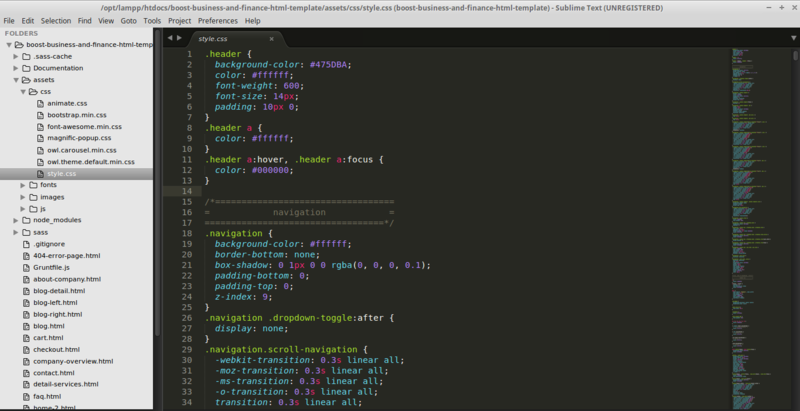 home-2.html – contains all UI code. about-company.html – contains all UI code. 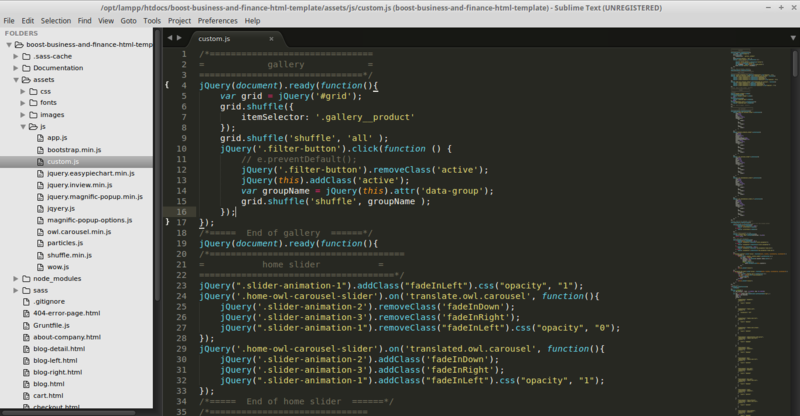 company-overview.html – contains all UI code. managemnt.html – contains all UI code. services.html – contains all UI code. detail-services.html – contains all UI code. team.html – contains all UI code. shop.html – contains all UI code. cart.html – contains all UI code. chckout.html – contains all UI code. faq.html – contains all UI code. 404-error-page.html – contains all UI code. blog.html – contains all UI code. blog-left.html – contains all UI code. blog-right.html – contains all UI code. blog-detail.html – contains all UI code. contact.html – contains all UI code. In this design, we have used google font “Open Sans” , “Poppins”. You can learn more on using Google Web Fonts by checking the tutorial on how to work with Google web Fonts. Boost template is based on HTML and css so you can edit it yourself. 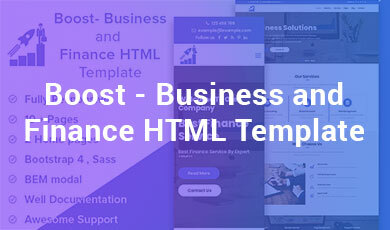 Boost- Business and Finance HTML Template use bootstrap to make it very easy for anybody to understand and we have created all the design in separate section. If user want to use any effect then pick that particular section and use it. Unzip package in an directory where you will see Boost- Business and Finance HTML Template folder. In this folder, change according to you then upload this folder on server root directory.